Prometheus is one of the sons of Iapsotes the Titan which existed before the Gods of Olympus. 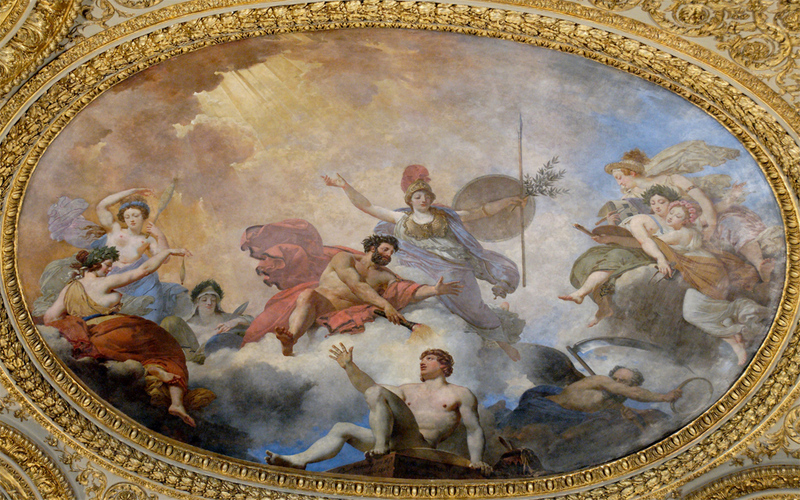 Zeus, after he won the war against the titans, shares the universe with his brothers and brings Prometheus to Olympus because of his cunning. But Prometheus is angry with Zeus because of his despotism. He wants to avenge his ancestors and he creates the first human with Athena and Zagreus by using the mud where the titans died. Because Zagreus is Zeus’ own son from Persephone and Zeus said about him “Let all my rule, my riches, my abilities an my knowledge be his”. The humanity, in this way, could replace the hegemony of Zeus. Interestingly, there exists a similar prophecy for Athena who helped the creation of the first human. Athena will end the rule of Zeus. It is thought that Prometheus pitied the weakness of humanity. But, he threw another to the fire for the destruction of Zeus. He steals the fire from Olympus and gives it to the humans. In the later philosophy, Prometheus became a symbol for freedom, knowledge and uprising against exalted forces and political crimes. Prometheus, In the War of Titans (Zeus – Chronos War), saw that the Titans will lose and switched sides, but it seems that he was still on the side of the Titans discreetly. In philosophy, the importance of logical approach against myths and the importance of humanity which rose with the hegemony of natural philosophy solidifies with the Prometheus character. In Greek, the meaning of learning in root of “math” and the inclusion of this root in the word mathematics which was created by the view that the existence may be based on numbers, is very relevant as a statement of the turn from myths to reason (or knowledge). The increasing importance of this logic which is hidden in every attempt to explain the existence, symbolized linguistically by joining to Prometheus. Zeus, both in the mythology and naturally in the astrology, represents an illogical exaltation. Prometheus, as the anarchist of logos, is completely against him. 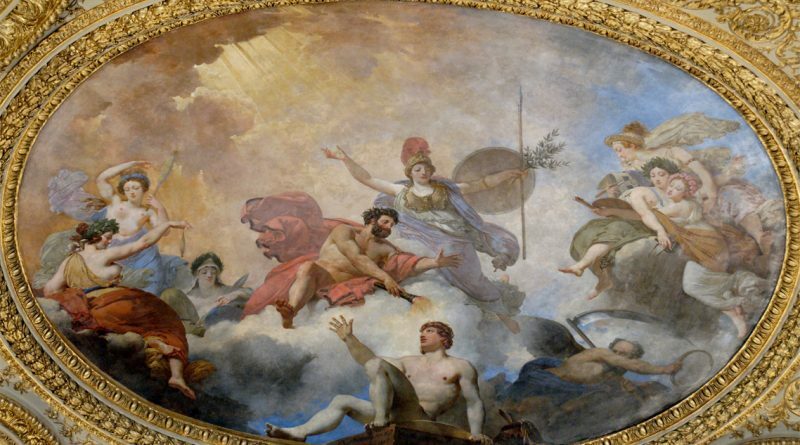 Even today, in the astrological literature, we see that Zeus (Jupiter) is exalted illogically despite the destruction he caused, and when a bad event occurs, we see that despite his undeniable presence in the maps, other sources are sought for. Belief and exaltation. The torch races which was common among the Greeks, spread from Athens (Athena is the protector goddess of this city) which Prometheus was considered a religious cult. In here, with the torch races, people express their respect for the logos, by organizing fidelity ceremonies to Prometheus, against the myths and the idea of the exalted rule of the illogical (Zeus). The torches held by the runners is the flame Prometheus gave to the humans. This is the reason that a torch is a symbol for knowledge in our day. “I don’t care about Zeus at all. As we can see, Prometheus has an archetype which directs the future by making small adjustments by seeing the future. It would be insufficient to attribute to him just the knowledge and uprising through logic. Some stories say that Prometheus traded his mortality with the centaur Chiron and by getting rid of his immortality, Chiron was able to die and escape from his pain. However, Prometheus did not have a mortality to trade. He was a titan. He existed much before the gods of Olympus and he was already an immortal. In many myths, Prometheus was rescued from Zeus by Hercules. In other words, “Strength”. The strengthening (Hercules) of logic and uprising… The account of how differs. Zeus, who knew that Prometheus was able to see the future, releases Prometheus to see “which bed”. Devrim DÖLEN was born in 3 March 1977 in Istanbul. 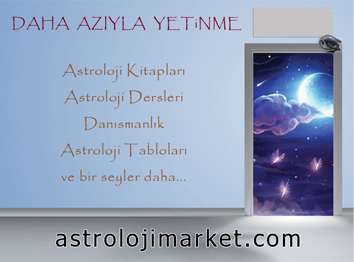 Before she began her professional career with many astrology and statistics groups which are active in USA and Turkey, she’ve spent 22 years on astrology researches. Since 1999, she shared some of these in peer-review journals and some of them on the internet. Within the Istanbul Aydin University, she’s the first astrology teacher in Turkey with a YÖK approved certificate. She is one of the founders of the Gizemciler group founded in 1999. One of the moderators of the Astrology and Astro-Diary group which founded in 2001 and which focuses on astrology and is one of the first communities in Turkey to give astrology lessons in Turkish, Dölen, became one of the 3 founders of the astroturkiye.com which she co-founded with Devrim Yilmazer and Hakan E. Kayioglu whom she knew more than 10 years. In 2011, she founded the Zodiac Astrology Publishing and the Astrology Academy with Devrim Yilmazer. She has various books and research projects going on.